Bollinger Motors, a US-based company headquartered in New York State has unveiled its new prototype all-electric sport utility truck during a media event at the Classic Car Club of Manhattan, and you may be surprised at its features. 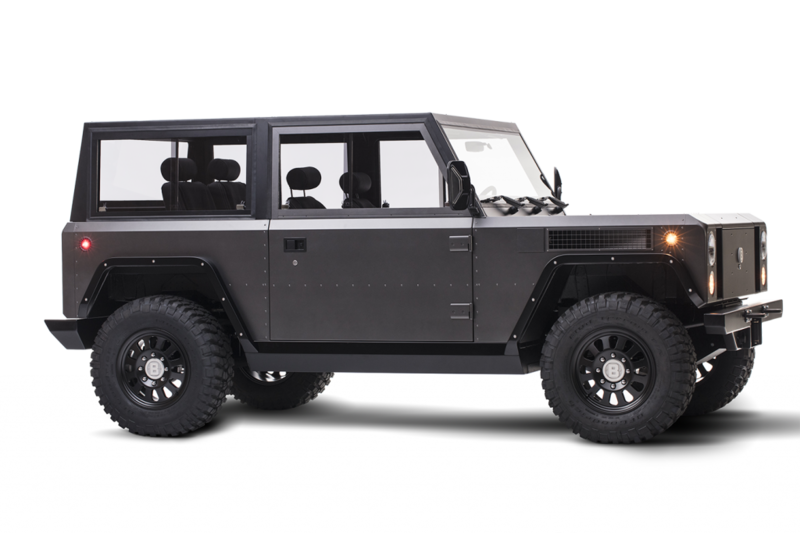 Using lightweight aluminum architecture, the Bollinger B1 is the world’s very first fully functional prototype of an all-electric sport utility vehicle, and sports a dual-motor powertrain that provides full-time all-wheel drive. According to a press release, the B1 employs an advanced chassis structure, constructed with high-strength aluminum and weighing in at a mere 295 pounds, to house its battery system, while not sacrificing structural or torsional rigidity. As a result of instantaneous torque provided by the electric drivetrain, the B1 boasts a 0-60 acceleration time of just 4.5 seconds and a top speed of 127 miles per hour. The prototype vehicle weighs in at 3,900 pounds, with a payload capacity of 6,100 pounds and a gross vehicle weight of just over 10,000 lbs. The B1 will offer an option of two lithium battery packs when entered into production, rated at 60kWh or 100 kWh. This will allow for travel of up to 120 miles with the smaller or up to 200 miles with the larger pack. The B1 features a minimalist interior, but is not lacking in comfort, with heating and air conditioning, prominent gauges and warning signals, and a battery level indicator, all with black backgrounds with white lettering, and chrome bezels, making for a clean and classic look. The production model will sport a Bluetooth-enabled waterproof AM/FM receiver, with inputs for iPod/MP3 players and SD/USB readers. A two-year old startup business in New York wants to bring waste management into high-tech, by offering on-demand garbage pickup services through the use of a phone app. And they recently announced they are receiving funding to the tune of $11.7M to make it happen. Recycle Track Systems (RTS) is hoping to capitalize on the market for waste management and disposal by using a fleet of trucks, independently owned and operated by others, to tap into the waste industry, estimated at between $45 billion and $65 billion, and an industry without a lot of high tech interest. 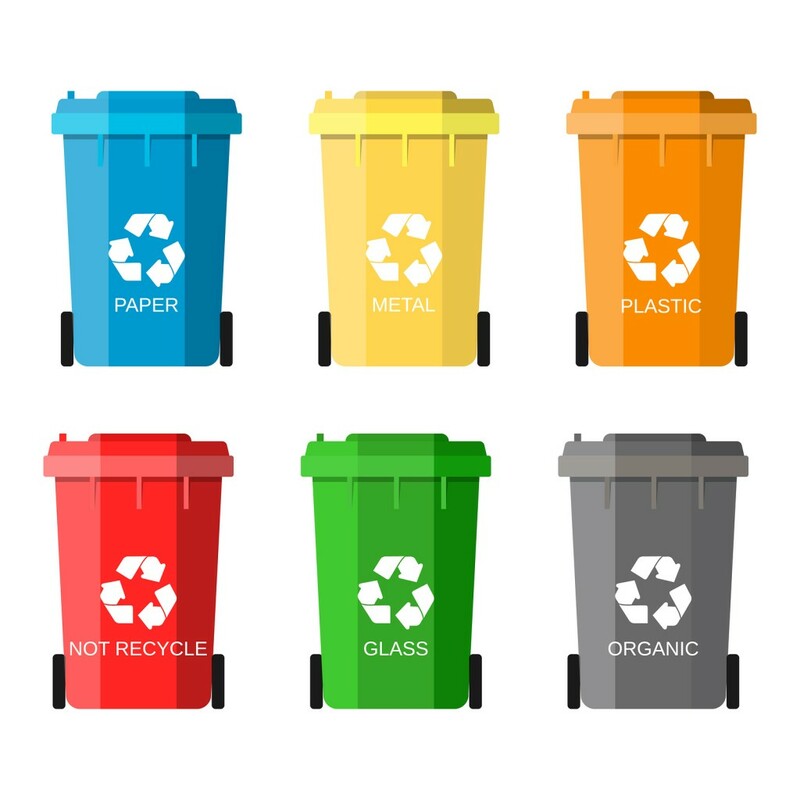 Customers such as WeWork, Whole Foods and SoulCycle have already signed contracts covering multi-year deals that use the company’s app to alert them when the trucks arrive as well as providing information as to where the company is taking their waste for disposal and treatment. Co-founder and CEO of RTS, Gregory Lettieri, was quoted in an article on techcrunch.com as saying the company is already operating in Philadelphia and Washington, DC, but the founders see New York as an opportunity to launch the Uber-type service. Lettieri offered the service was important to high-sustainability customers because they can see their efforts to sort organic food waste from ordinary waste are not being wasted, so to speak. The service will allow such customers to monitor where their organic waste was taken, to farms or waste energy facilities for example, and give them actual numbers instead of estimated data. Lettieri added that because they have the ability to track the contents of each truck, they can also tap into the secondary waste market, which is estimated at around $90 billion. By identifying the waste content on the trailers, they can deliver to brokers who purchase certain types of waste materials, such as electronic recycling and construction materials, with facilities designed for such recycling. The company says that is not a big slice of their business at this time, but they see the market expanding in the future. The firm plans to offer yearly contracts for pickups, based on the amount of garbage that must be processed over a period of time. Investors seem to be on board as well. The Series A funding comes from a Boston-based equity firm, Volition Capital, which also provided capital to Chewy, a pet supply firm that was bought by PetSmart earlier this year. It’s no secret that Donald Trump, the newly sworn in president of the United States and reality television star, if very proud of his oft-ridiculed hair. What is a secret is apparently how he keeps that hair: he’s taking a drug meant to prevent hair loss, according to numerous reports in the media. 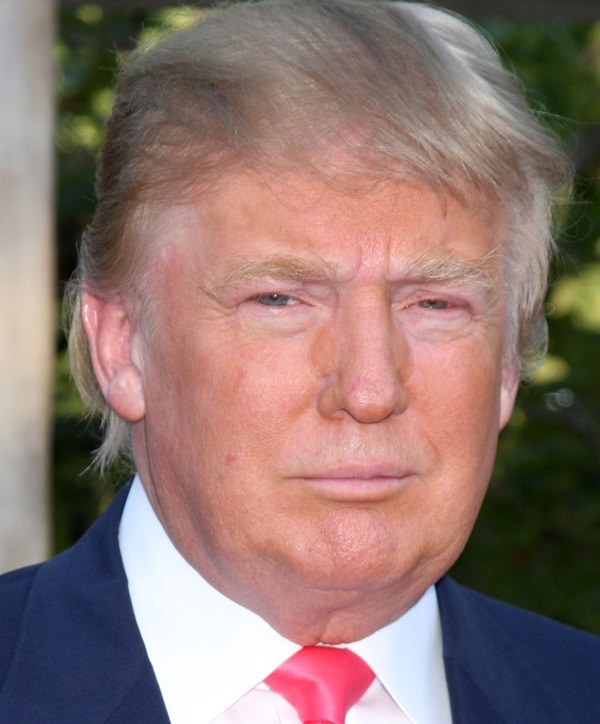 Trump is apparently taking a prostate drug often prescribed for hair loss known as Propecia, along with antibiotics for rosacea, his personal physician, Dr. Harold Bornstein, admitted in an interview with the New York Times. Rosacea is a skin condition that involves redness of the skin. Bornstein said during the campaign that all Trump was taking was rosuvastatin and low-dose aspirin to lower his risk of heart attack, famously stating during the campaign that Trump would be the “healthiest individual ever elected to the presidency.” It’s unclear if Trump’s regimen changed or Bornstein simply neglected to mention Propecia last year. Propecia is a formulation of finasteride that is prescribed to men with enlarged prostate glands that was later approved by the FDA to treat male pattern hair loss. Editor’s note — this article originally appeared on Morning Ticker. As we reported yesterday, a great deal of apprehension surrounded the meeting called by President-elect Donald Trump and leaders of the tech industry at Trump Tower in New York, but from all reports, everything went well. In fact, despite predictions that Trump was going to be anti-tech, he told the group “I’m here to help,” according to an article in The New York Times. Most of the executives left the meeting without commenting, but inside sources said Trump discussed items on his political agenda, such as vocational education and trade agreements with China and other nations. Reportedly, the president-elect asked the industry leaders if they could use their resources to help the administration identify and rid the governmental agencies of wasteful spending as well. The meeting, which lasted for over 90 minutes, also included Peter Thiel of Trump’s transition team, along with family members, Donald Jr., Ivanka, and Eric. To the delight of the crowd, Trump said he wouldn’t say how many others had asked to attend the meeting. There was a great deal of concern throughout the tech sector after Trump won the November election, and some argued the industry executives should boycott the meeting in protest of Trump’s values, but others saw it as an opportunity to express their own values and opinions to the incoming President. Still others have resigned themselves to the fact that Trump will be the President for at least the next four years, and they will have to make the best of it, hoping to compromise and still maintain their core values. It appears also there will be quarterly meetings, organized by Jared Kushner, Trump’s son-in-law and one of his advisers, that will bring together smaller groups of tech professionals, focusing primarily on immigration and education issues. During the 2016 Presidential campaign, the Republican candidate Donald Trump had a good many harsh words to say about the tech industry, and in turn, not many of the tech industry’s top officers supported Mr. Trump in his bid to become President. But, as he is about to be inaugurated, Trump and a Who’s Who of the US tech industry are about to sit down for a face-to-face at Trump Tower in New York, a meeting that could give some indication of the Trump administration’s plans and strategies for his make America great again initiative. The meeting, scheduled for Wednesday afternoon, will be moderated by billionaire tech invester Peter Theil and Jared Kushner, Trump’s son-in-law and adviser. It is expected the focus of the meeting will be job creation and governmental efficiency, two of Trump’s campaign promises. But, it will be surprising if some of the discussion doesn’t include Trump’s plans on re-working trade agreements and strengthening immigration laws that could limit the industry’s hiring of foreign employees. Invitees include Tim Cook of Apple, Jeff Bezos from Amazon, Facebook’s Sheryl Sandberg, Microsoft CEO Satya Nadella, Elon Musk, and Larry Page and Eric Schmidt, of Google’s parent company Alphabet Inc., among other leaders of the tech sector. The tech industry enjoyed tremendous growth and record profits under the Obama administration, and it is likely they will lobby for maintaining a similar working relationship with the incoming president. Still, the President-Elect has his own ideas about how the system should work, but the election-winning Trump so far seems to be more receptive to listening to advisers than the campaign Trump. He has softened his stance on several issues and looks to be trying to reconcile with some of his harshest critics. So it remains to be seen if the industry can get along with the new administration, but maybe this first meeting will go a long way towards defining expectations from both sides. High-ranking party officials in German politics are concerned about Russian hackers spreading misinformation to influence the outcome of the 2017 election, according to the BBC. The concerns are heightened by reports that Russians may have tried to influence the United States Presidential election in November, by hacking into the Democratic Party’s database and documents that were damaging to Hillary Clinton’s campaign bid. Bosbach made his comments while discussing the concerns that the US has over possible Russian assistance for Donald Trump. Russian officials have denied any interference in the US elections and downplayed warnings from other Western states. Officials from Germany’s intelligence agency, BfV, admits increasingly aggressive cyber-espionage, and add the indications of attempts to influence the elections are on the rise. Their sources say a hacker group, known to them as “Fancy Bear” or APT28 which the believe is controlled by the Russian state, is particularly active. German intelligence also believes a set of secret files from the Bundestag committee that was investigating US National Security Agency spying on German politicians were obtained by Russian sources. Those files, from 2014-15, were released by Wikileaks earlier this year. The American CIA suspects that Russian hackers were involved in attacks on US politics, but has not yet provided any concrete evidence. Meanwhile, members of both houses of Congress are calling for hearings and an internal investigation on the attempted break-ins. Among all the recent focus on upgrading cybersecurity within the federal government, and the billions of dollars pledged to be invested in new technology, what some consider to be the weakest link in the chain is the tech operators. And that really doesn’t come as a surprise for those tasked with improving the situation, according to a report on federalnewsradio.com. And training the employees to follow rules and guidelines set down by the security experts only goes so far. The acting deputy chief information officer for the Commerce Department, Ron Turk, said as much at an event in Washington recently. 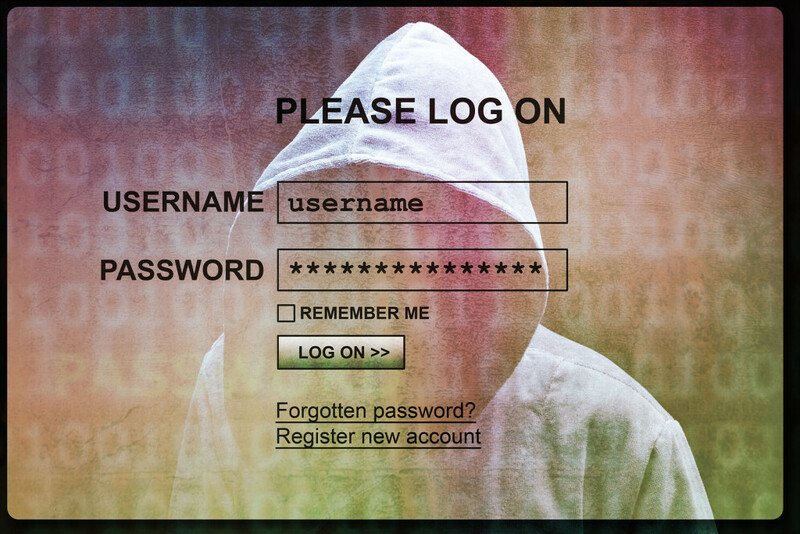 The article continued to say that Pentagon officials believe 80 percent of breaches to cybersecurity are caused by poor user behavior and failure to apply updated software patches. Officials say they are now attempting to identify those employees that don’t follow office procedures and take appropriate actions. The Defense Department initiated a new program last year, called the DoD Cyberecurity Culture and Compliance Initiative, hoping to shore up the agency’s defenses against cyber attacks. The justification for the program is based on the idea that every dollar spent on preventing attacks up front saves seven dollars in costs of repairing the breach after the fact. The Commission on Enhancing National Cybersecurity agrees as well, recommending the government set up a new agency, or re-assign an existing one, to spend all of its resources on defending federal networks and national infrastructure from cyber attacks. 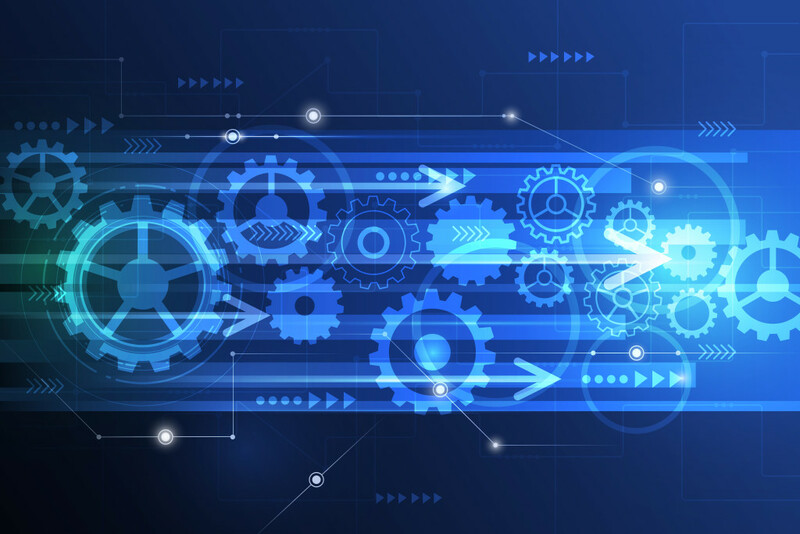 The commission also recommends making the new agency responsible for developing new standards and protocols that IT systems must implement in order to connect to federal systems. Turk, while agreeing with the recommendations also added that the coding should be done early in the process, instead of adding in later. Those add-ons could lead to confusion by users and lead to the program not being used to its maximum efficiency. Fitbit, the digital and fitness-tracker, has announced the company has purchased key assets of Pebble, the smartwatch startup first launched back in 2012 in Redwood City, California, after reports last week that the two companies were close to making the deal. Reports speculate the purchase price was less than $40 million, and say Fitbit plans to offer jobs to most of the current software engineers at Pebble, although founder and current CEO, Eric Migicovsky will no longer remain with then firm after the transition, according to theverge.com. The present market for smartwatches is being viewed as weak, although Apple just announced its best week ever for the Apple Watch, even while others are saying the shipments of Apple Watches are down over 70 percent from the previous year. Fitbit themselves lowered their forecast for the upcoming holiday quarter, citing in third-quarter earnings calls the industry is beginning to slow or soften. 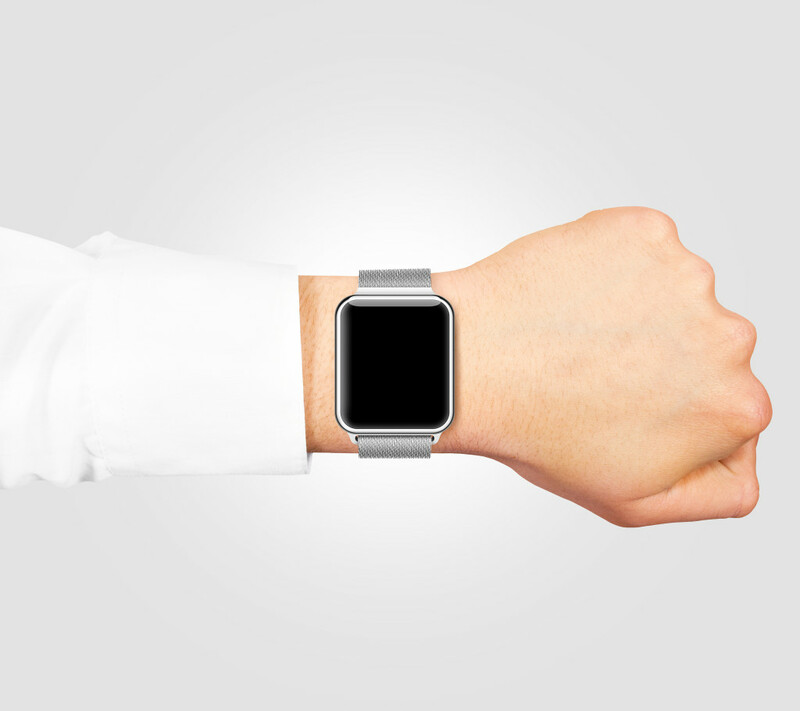 Some major tech companies have decided to not release new smartwatches this year in response to the market. Pebble launched as a successful crowdfunded project, and won over many tech fans with their devices, as well as intriguing app developers who wanted to build apps for the open-sourced smartwatches. Pebble, toyed with the Core, a display-free device that offered GPS tracking and offline music listening capabilities, but generally focused on its health and fitness tracking products. In an announcement on the company’s website, Pebble said they were no longer able to operate as an independent entity, and had made the decision to close the company. Their newest products, Pebble Time 2 and Core have been cancelled, according to the site, and refunds are expected to be sent out in the next four to eight weeks. Current owners of Pebble smartwatches can expect their devices to work, but future functionality will be reduced because of a lack of support for the software. A new study proposes that Lucy, our famous Australopithecus ancestor, could have spent most of her time in trees, according to a report published in the journal, PLOS One. Although Lucy—her fossil known as AL 288-1—only stood roughly three-and-a-half feet tall, her arm bones exhibit remarkable strength. The discovery of Lucy half a century ago changed our perspective of human evolution. Of the earliest hominids discovered, her skeleton was the most in tact. But scientists have struggled with a definitive identity for Lucy because although evidence confirms she walked on two feet, she also climbed trees to avoid predators and to sleep, so the question remains how long she spent in them. For the analysis, researchers examined the physiology of bones in how they can grow weaker or stronger depending on how often they’re used. They compared Lucy’s skeletal structure to the bones of about 100 chimpanzees and 1,000 modern humans and found that climbing trees required terrific brawn. And the ratio of strength between her arms and legs suggests that she was more chimpish than bipedal. “That doesn’t mean she was acting like a chimp, just that she was stressing her limbs more like a chimpanzee than a modern human,” said lead study author, Christopher Ruff, a paleoanthropologist at Johns Hopkins University. To draw conclusions on how Lucy interacted with her environment, scientists analyzed 3-D digital markups of bones digitized from scans of the originals. They discovered Lucy’s bones were quite robust. “She’s tiny, but for her size, she’s coming in very strong,” said John Kappelman, a paleoanthropologist at the University of Texas at Austin who was also involved in the study. Lucy’s bones don’t suggest much tool use, which could have also led to the same bone thickness. Researchers concluded that she climbed trees more than initially surmised. But the scientific community isn’t unanimous on the study. Paleoanthropologist, Donald Johanson, still believes Lucy and A. afarensis primarily stood upright. 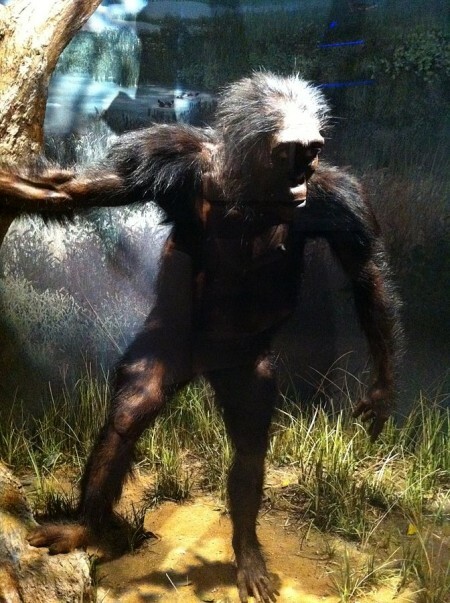 “They would have had to spend a considerable amount of time in the trees for this to happen, and I think the overwhelming anatomical evidence is that they were terrestrial in their preferred locomotion,” Johanson said, thinking that food gathering and digging up roots could have led to the density of Lucy’s bones. The study leaves the question as to whether A. afarensis’ skeletal remains are just remnant adaptations from earlier ancestors. Lucy’s long arms, curved fingers and toes and shoulder blades that curve toward the head than the side of the body are clues that she was more chimp-like. Her big toe, however, is like ours, indicating she was bipedal according to Dr. Johanson. Claims that the iPhone 6s is shutting down unexpectedly with a fair amount of battery left on the device has prompted Apple to announce they have found the issue and will replace the batteries on a certain number of phones, according to an article on fortune.com. The Chinese consumer-protection agency, China Consumers Association, has called on the tech giant to respond to a number of Chinese users reporting the problems with the 6s model of the iPhone, continued the article. Apple responded quickly that they had identified the problem and it would not be a safety hazard to the phone’s users. The company confirmed there were only a small number of devices affected, and they pledged to replace the batteries for free at one of its retail stores, or through an Authorized Service Provider. The phones in the program were purchased between the months of September and October of 2015, and the company says they fall within a range of serial numbers, but did not immediately identify the range of numbers. On the company’s support web page, they caution that any damage to the phones must be corrected before the batteries would be replaced. “If your iPhone 6s has any damage such as a cracked screen which impairs the replacement of the battery, that issue will need to be resolved prior to the battery replacement. In some cases, there may be a cost associated with the repair,” according to the company. 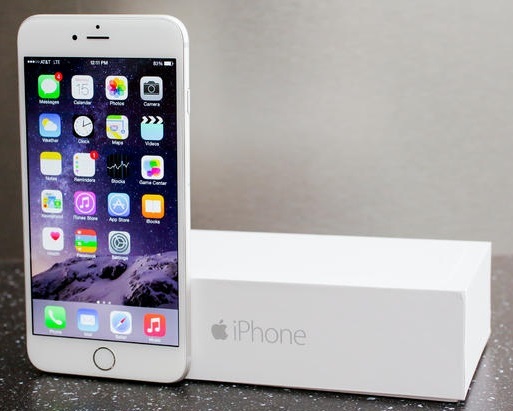 Apple also announced that wireless carriers would not be participating in the battery replacement program.